In the world of Argyle Pink Diamonds things are always changing and sometimes it s difficult to keep up with these changes. One of the most recent changes Argyle have put into place is the way they certify pink diamonds sized 0.08 – 0.14 ct each.Up until the last few months any Argyle Pink Diamond under 0.15 ct was sold in a parcel lot with a lot Number. This Lot Number would then cover all the diamonds within the parcel. Now however Argyle have decided to individually certify all Pink Diamonds between 0.08 ct – 0.14 ct.
We have managed to acquire a number of these Round Brilliant Cut 0.08 – 0.14 ct individually certified diamonds in a whole range of colours and sizes with the most intense being some 3PP’s all the way through to a lovely pair of matching 7PP’s 2 = 0.22 cts. These diamonds are available for viewing via your closest Diamonds of Australia stockist – just call today for details. 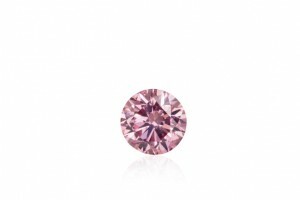 Demand for Argyle Pink Diamonds is still very strong and these individually certified smaller diamonds opens up the possibility for more people to own their very own piece of the Argyle Mine. With the production slowing, it is only a matter of a couple more years until the Argyle Mine closes its door for good. The prices are still creeping up and so there has never been a better time to buy pink diamonds.